Mack is grabbed back more time on McQuaid and is now +3:08 behind the leader at 33 km's. 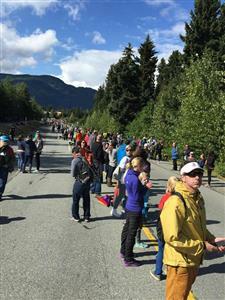 Mack is clawing back roughly 33 seconds a km on McQuaid and at that pace could catch her roughly with 3 km's to go,. 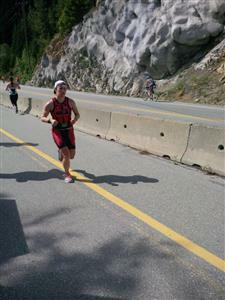 McQuaid continues to struggle as her lead has been reduced to +1:10 to Mack at 36 km's. Six km's to go and lots can happen. Mack in the hunt. Only 1:10 down with six km's to go! 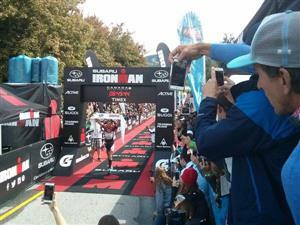 At 37 km's, Mack is only 11 seconds back to McQuaid! 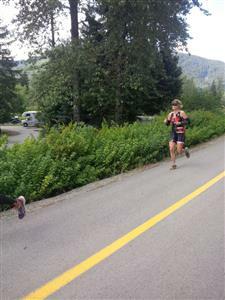 Mack has just pass McQuaid for the lead at 38 km's! McQuaid now in second with four km's to go. 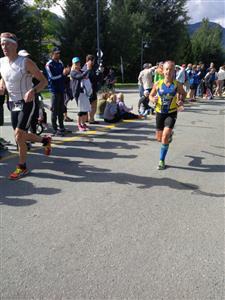 We are getting unconfirmed reports that Mack and McQauid are running together with less than 2 km's to go. Mack has a almost a two minute lead now on McQuaid with less than a km to go. 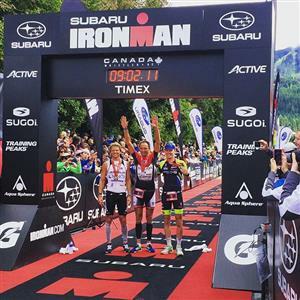 Danielle Mack is your 2015 Subaru Ironman Canada champion in winning time of 9:46:19. 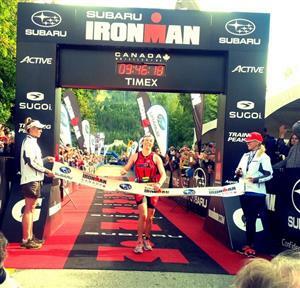 Mel McQuaid finishes second in her first Ironman race with a finishing time of 9:48:23. Jen Annette has run her way into third with 2 km's to go in her race.